Gravitational lensing is a gravitational-optical effect whereby a background object like a distant quasar is magnified, distorted and brightened by a foreground galaxy. It is one of the consequences of general relativity and is so well understood that it now appears in standard optics text books. Objects that are too far to be seen are ‘focused’ by an intervening concentration of matter and bought into view to the earth based astronomer. 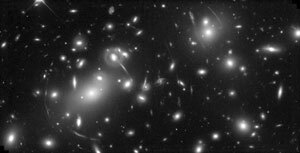 One of the most interesting photos of the effects of gravitational lensing is shown in the HST image of Abell 2218 by Andrew Fruchter1 (Space telescope Science Institute) et al., with the WFPC2 camera,2 on the Hubble Space Telescope (NASA) (see illustration 1.). It is alleged that the cluster of galaxies Abell 2218, distorts and magnifies light from galaxies behind it. In this image, the cluster of galaxies, Abell 2218 is distorting and magnifying light from galaxies behind it. They appear as ring arcs of faint light. This cluster is about three million light years distant. One of the most distant objects discovered is a galaxy that was detected at 5.6 GLY (5.6 billion light years) distant using Abell 2218 as a ‘lens’. It is alleged that the farthest known background radiation sources in the cosmos are what we call the cosmic microwave background, or the CMB. This was supposed to be formed when photons were released in the big bang decoupling event when the universe became ‘transparent’. The temperature this occurred at was about 3000 K, when normal hydrogen gas formed, supposedly some 380,000 years after the big bang. The space had spread by a factor of 1000, dropping the observable blackbody temperature of this event to 3 K and forming this all pervasive background to the universe. The background gives almost a perfectly smooth black body spectrum of 2.725 K with very tiny fluctuations in the pattern on the 70 μK level. These ‘bumps’ or patterns in the CMB are supposedly the ‘seeds’ from which the galaxies formed. Why is it so smooth? Alan Guth ‘solved’ this puzzle by postulating that the universe was originally a very tiny entity in thermal equilibrium. It ‘inflated’ from about 10–35 to 10–24 seconds after the big bang at many times the speed of light and then it began its ordinary expansion. The largest foreground concentrations of matter in the universe, which cause appreciable gravitational lensing, are galactic clusters. The WMAP (Wilkinson Microwave Anisotropy Probe) recently imaged the CMB of the full sky to a high resolution. One would expect to see gravitational lensing distortions caused by the foreground galactic clusters in the CMB ‘acoustic’ patterns. Lieu and Mitaz3 in their recent article have shown mathematically that the expected distortions in the CMB are absent! 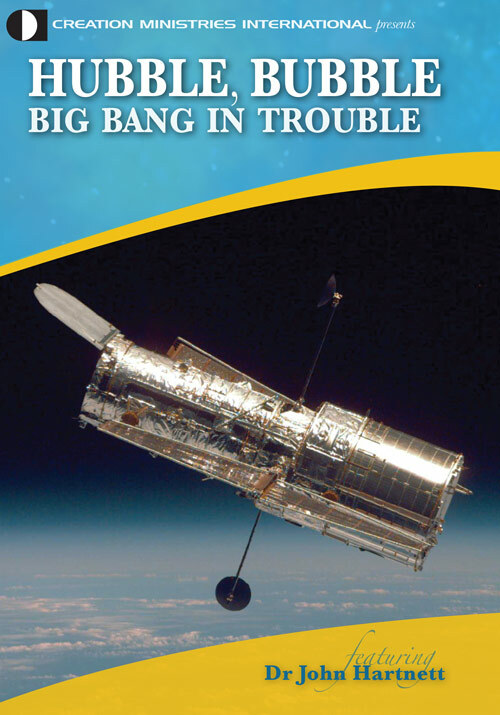 If the CMB is not of cosmological origin, all the ad hoc ideas that have been added to support the big bang theory (like inflation) fall apart. This is a major blow to the big bang theory where the existence of the CMB is the main evidence for its occurrence. 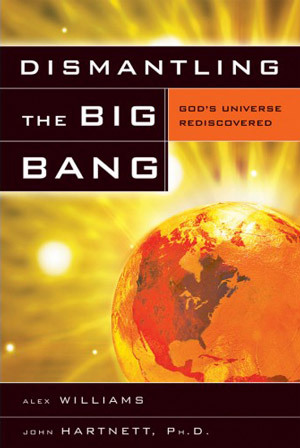 This may mean that the CMB is not ‘cosmological’ at all, but rather a ‘local’ effect, possibly like that envisioned by Hoyle and Wickramasinghe and by Hartnett.5,6 They showed that a homogeneous cloud mixture of carbon/silicate dust and iron or carbon whiskers could produce such a background radiation. If the CMB is not of cosmological origin, all the ad hoc ideas that have been added to support the big bang theory (like inflation) fall apart. www-int.stsci.edu/~fruchter/, 9 May 2006. Return to text. http://www.stsci.edu/instruments/wfpc2/wfpc2_top.html;, 9 May 2006. Return to text. Lieu, R. and Mitaz, J.P.D., On the absence of gravitational lensing of the cosmic microwave background, Astrophysical Journal 628:583, 2005. Return to text. UAH (the University of Alabama in Huntsville) News and Events, 8 February 2005, urnet.uah.edu/news/read.asp?newsID=572. Return to text. Hoyle, F. and Wickramasinghe, N.C., Metallic particles in astronomy, Astrophysics and Space Science 147:245–256, 1988. Return to text. Hartnett, J.G., CMB Conundrums, Journal of Creation 20(2):10–11, 2006. Return to text. However, it is hard, in my thinking, to conceive that any natural manifestation could produce so smooth a pattern. Return to text.